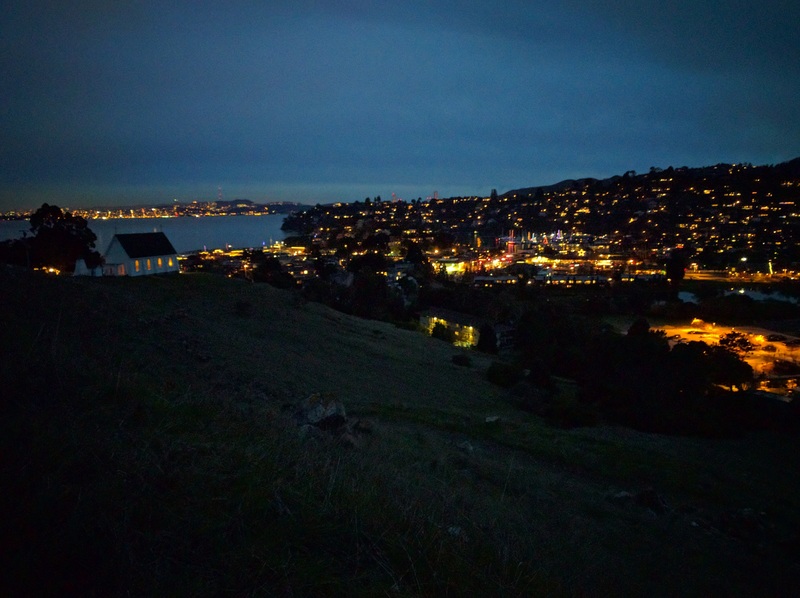 SearchResearch Challenge (3/29/17): Where in the world am I? Often, as we do research (especially of the SearchResearch kind), the little details of the Challenge turn out to be important. This is especially the case when you're trying to figure out where a particular picture has been taken. Remember back in 2012 when we did the SearchResearch Challenge with this picture? The key there was to do a search with the logo atop the building, and then the rest is pretty straightforward. That logo is a small, relevant detail (and the flag in the lower left is an irrelevant detail)--you have to do the search to actually figure this out. Or, remember this location search Challenge to find what was important beneath the feet at the location of the photographer? 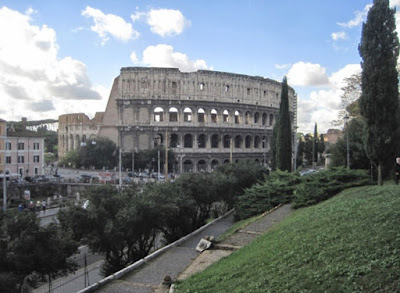 In this case, once you identified the Coliseum, you had to use the details of the topographic map of the area nearby to figure out where this location is... and find out what's below the photographer's feet. Learning to "read the details" of a photograph is a key skill for photoanalysis, and that's what the point of this week's Challenge is. Can you figure out where these locations are? 2. Where is THIS? 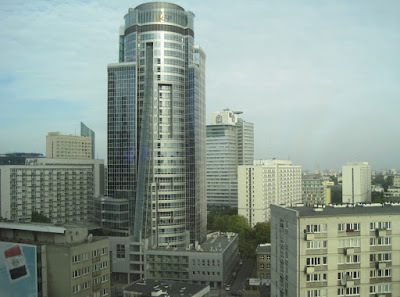 More to the point, what building is this? 3. Finally, where is this... and what's interesting about this particular view? Be sure to reveal how you figured out the answers. 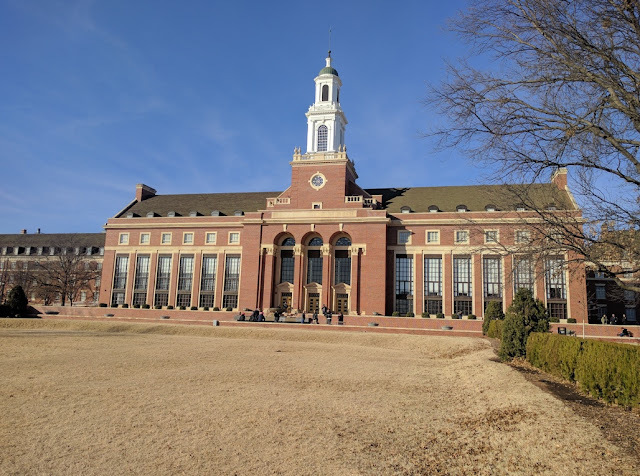 It's okay if you just recognize the place (just say so), but if you had to go through a search process, be sure to tell us how you did it when you post in the comments. We all want to learn how you did it. Tell us so we can all get better! I suspect that these will be a bit more challenging than ordinary--so let us also know about how much time it took you to figure out the answers. It's a surprise to things where you don't expect them. This is always the case, although sometimes you need to know a bit about the context to see the thing "out of place." 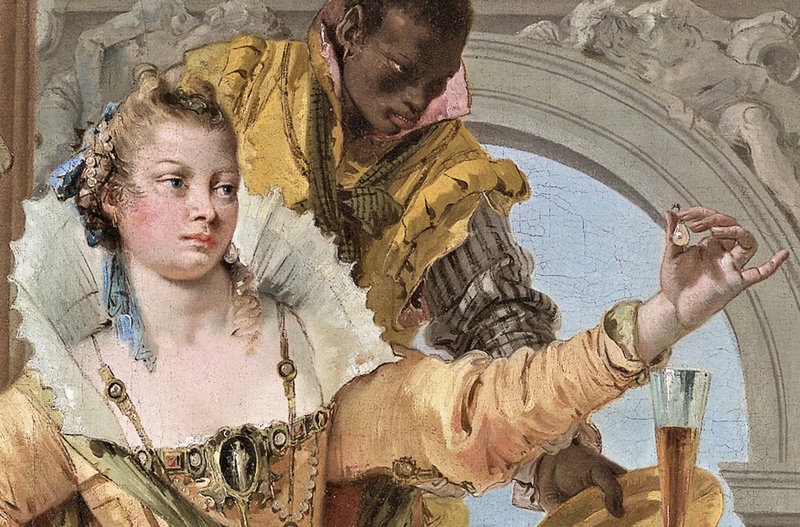 For instance, here's a fairly famous painting by Tiepolo (the 18th century Venetian artist) showing Cleopatra about to drop a pearl into a glass of vinegar to prove how vastly wealthy she was. The vinegar, you see, would dissolve the pearl, and she purported drank it just because.. you know.. ostentatious consumption (literally). It's a wonderful painting, but the clothing is NOT of Cleopatra's era, but Tiepolo's. It's something way out of place. 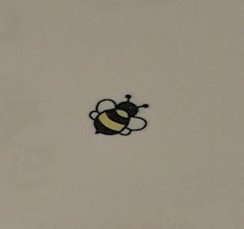 Likewise, the image of a bee in a urinal comes as something of a surprise--it too is the wrong thing in the wrong place. in Google Images shows that I wasn't the only crazy person taking pictures of insect images in urinals. That page shows all kinds of "targets," including flies and various political opponents. Intriguingly, there's a blogpost by Robert Krulwich (NPR) on this exact topic, which points out that noticed that when one "... put[s] small, discrete red dots in the barracks urinals, ...[they] dramatically cut back on 'misdirected flow.' 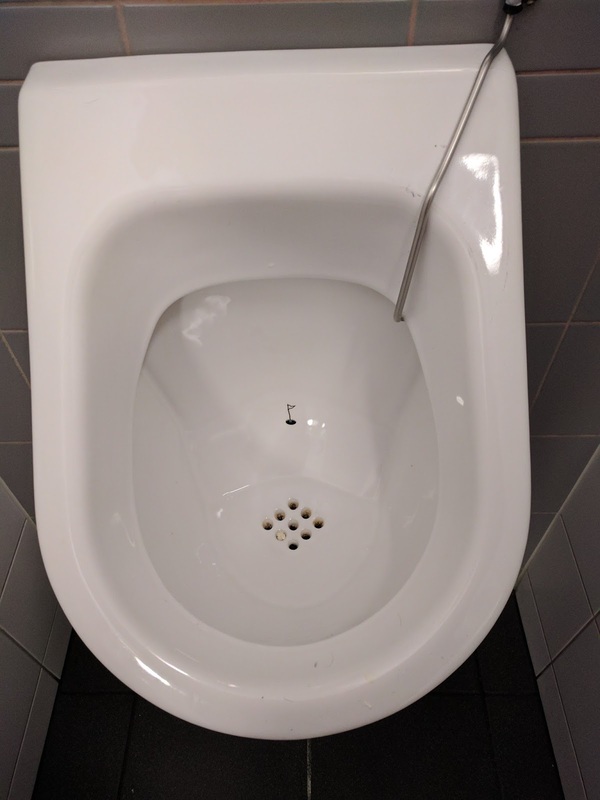 "
"Van Bedaf himself got the idea from his time in the army in the 1960s, where he first came across small targets placed in the urinals. The choice of the fly is an interesting one. As Reichardt points out, it can conjure up images of something unsanitary—and indeed this is the first thought that enters the minds of many who encounter the Schiphol fly for the first time. However, Mike Friedberger, product director for chinaware at American Standard, which supplies fly-engraved urinals to JFK Terminal 4, also owned by the Schiphol Group, believes there could be a very good reason for the fly. ‘If it’s something that you consciously don’t like, you’re more likely to pee on it,’ he says. ‘If they had put a pretty butterfly or ladybug there, men might not aim directly at it. On the other hand, if you used an ugly-looking spider or a cockroach, people might be afraid of it and not even stand there. A fly seems to be a compromise: something that is universally disliked, but that doesn’t elicit fear and make people not want to stand there.’ "
That makes sense, and sounds pretty plausible. Yes, really. There's no flush system for this urinal. You just.. walk away. How could this possibly work? It seems crazy to have no water to flush, but that's what happens. But how? takes you to their technology page which really doesn't answer the question. It just says that it works. But we're SearchResearchers and we want to know. Turns out that page does have a link to a letter from a Caltech chemist that reveals the mechanism. It's obvious once you know how. It uses "... the effect of a lighter than water branched aliphatic alcohol such as 2-butyl-l-octanol (the density is = 0.83 g cm-3, much lighter than water) covering a column of urine." That fancy chemical is just a kind of alcohol that floats on top of water. 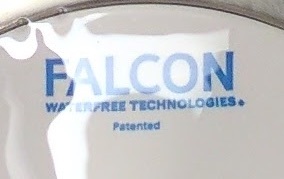 It also prevents any water (or similar density humanly-emitted waters) from being exposed to the air. Luckily, that Octanol alcohol also doesn't evaporate quickly or smell strange, so it forms a kind of seal letting water (and urine) through to the sewer system, but not letting it (or any smells) escape. Since there's no flushing involved, the 2-butyl-1-octanol just floats atop the drain, being an effective one-way valve for water and/or urine. That's such a clever idea, I wondered how long it had been around. Something like this MUST have been patented. Searching in Google Patents for [ waterless urinal ] leads to Waterless urinal odor trap which tells us in its disclosure that this mechanism has been around for quite a whole. "German patent 72361 to Beetz in 1891 disclosed an oil-sealed odor lock for stall urinals: a partitioned cylindrical liquid compartment forms a bell trap having an oily liquid barrier that forms a seal through which urine permeates downwardly... "
Indeed. This idea is over 100 years old. You never know where a fly in your urinal might lead. What's up with .TOP as the top-level-domain? It's not Google anything. Cautionary tale: Whenever something like this happens to you BEFORE YOU DO ANYTHING check out the legitimacy of the announcement. I first checked on the list of top level domain names for .TOP and found that it's operated by "Jiangsu Bangning." That is suspicious in and of itself--why isn't it Google or LG, which made the phone? A search for [ Jiangsu Bangning ] leads to a bunch of scamware alerts. Hmmm. 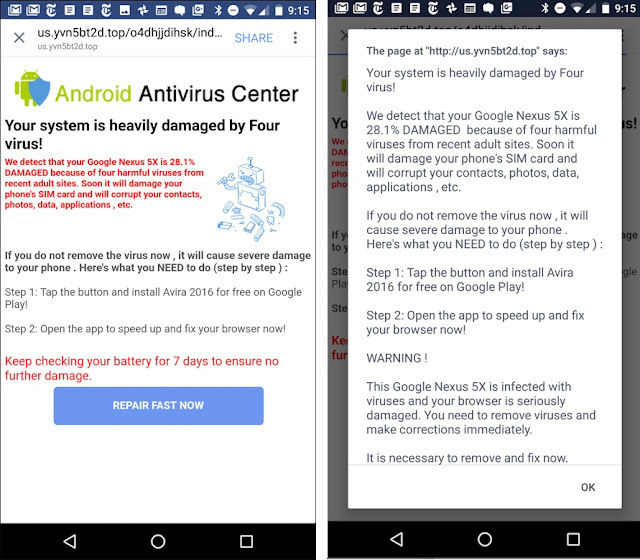 and find that it's a "browser hijacker," not a virus. Read the advice from several of the tech blogs (including Google's techsupport) to compare notes and see that it's not harmful, simply annoying. Just clear your browser's cache, and all will be well. No need to panic. 3. 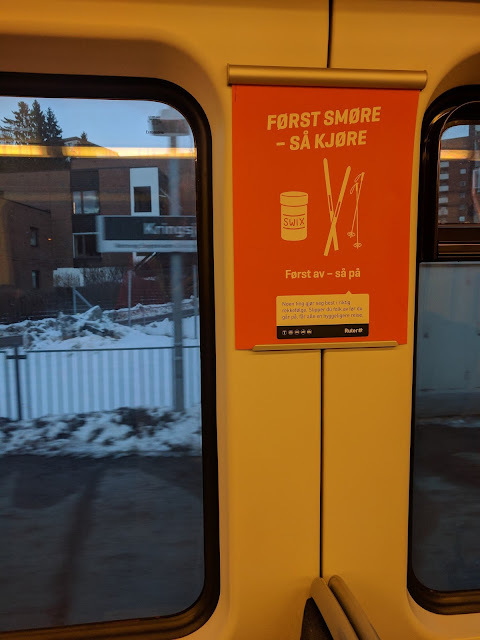 While traveling in Norway, I found the sign below on a tram. 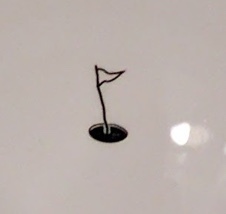 What's this sign all about? (I don't read enough Norwegian to figure it out. Can you?) Remember that you can click on the image to see it at full-resolution. and then just type it in (with "detect language" turned on). You might have to look up how to enter the å (Option+A on a Mac) and the ø (Option+O) characters... but once you do that, you get the translation. But why would it say "smear"? and found that they're a big maker of ski wax, a product that you often use by smearing it onto the bottoms of your cross-country skis. 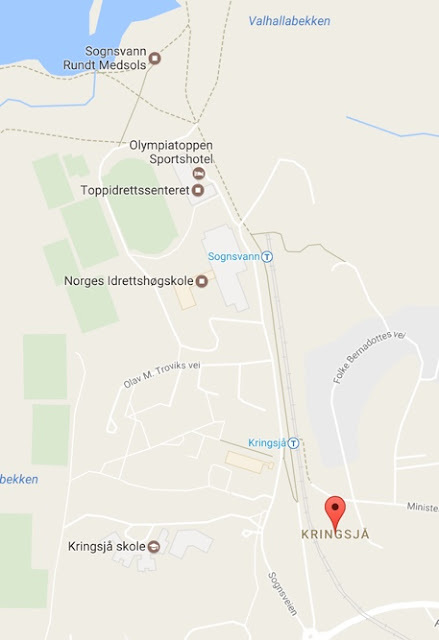 You can see that the next tram stop is Sognsvann, which has some suspicious looking trails just to the north. leads to a large number of articles (example) all about how great the cross-country skiing is from the last tram stop, including several with very healthy looking people skiing into the forest from Sognsvann, many of whom are running on their skis, which I assume are heavily smeared with Swix cross-country ski wax. This wasn't especially difficult, but definitely fun. Hope you enjoyed working on the Challenge this week! Every so often you pause and say "What??" 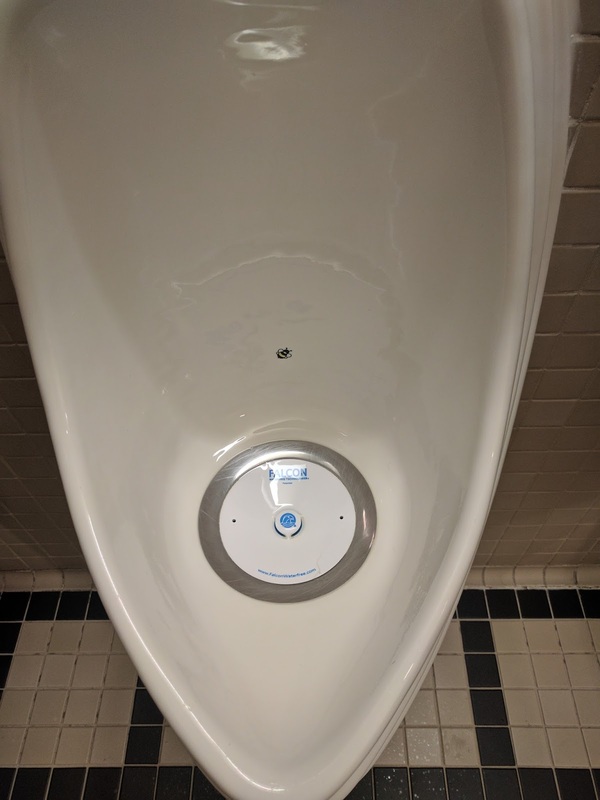 "That's odd..." I thought, "why is there a bee in my urinal?" This is the kind of unusual, a bit odd, and definitely strange thing one needs to memorialize in a picture. A quick glance around, and I got the shot. We run across mysteries on a daily basis, and our curiosity drives us to ask questions... Such as this week's set of questions that came up while travelling. That's not true for international travel, of course, and it's travel outside of your normal scope that gives us our SearchResearch Challenges for this week. Did you figure these out? 1. Okay, which is it? Was I in Scandinavia or in the Nordic countries? 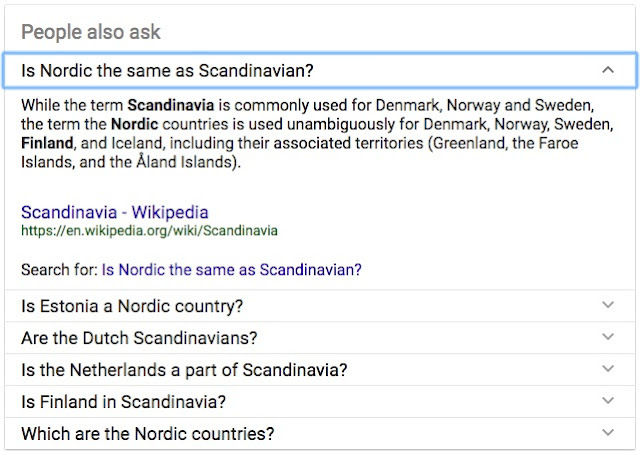 What's the difference between Scandinavia and the Nordic countries? This isn't hard--but there are two approaches here. (A) Compare the definitions, (B) Ask the question and hope for a QA match. Here's what I mean. (A) Comparing the definitions. Here they are for easy comparison. 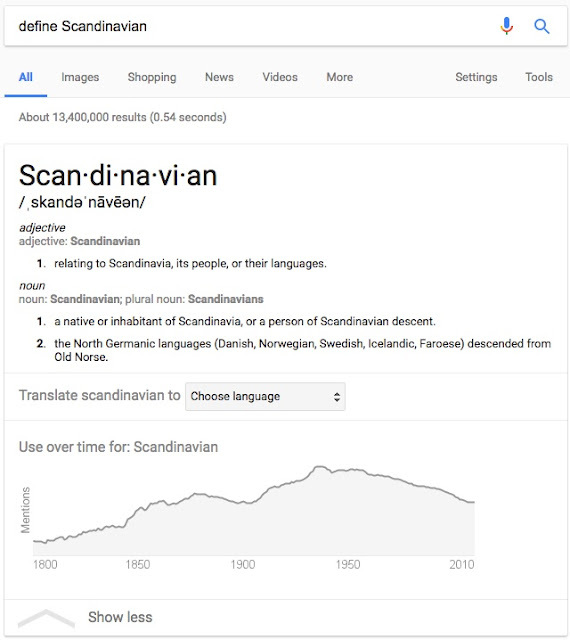 "Scandinavian" refers to the people that speak one of the Scandinavian languages: Danish, Norwegian, Swedish, Icelandic, Faroese. While "Nordic" refers to Scandinavia, Finland, Iceland, and the Faroe Islands. 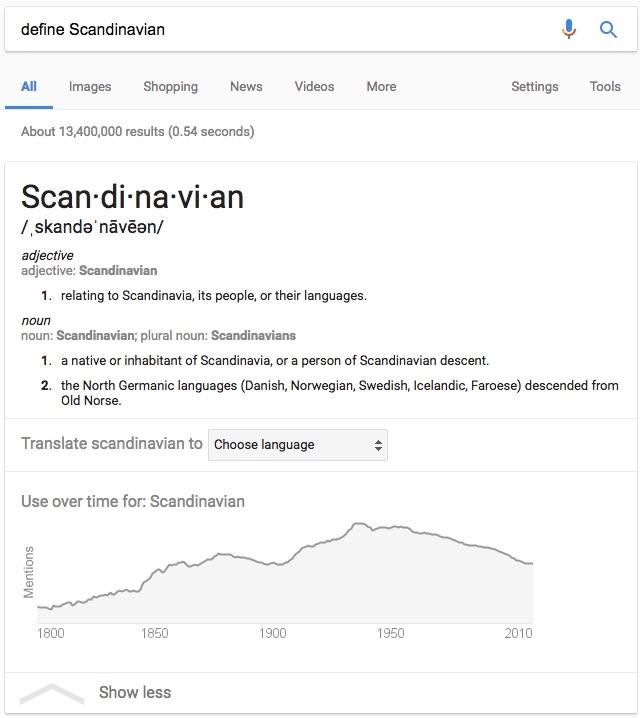 Hmmm... From this definition, it looks like the term "Nordic" is used for Scandinavia + Finland. 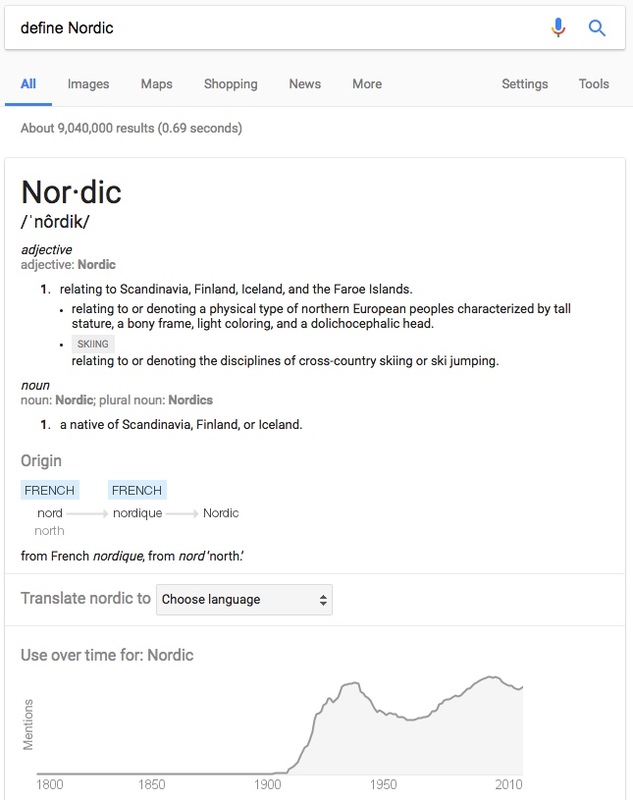 Also notice that the term "Nordic" seems to have been in use only since about 1900. That makes it of fairly recent coinage. (B) The question-asking approach: What happens when we do a simple question like this? The not-especially-clear answer here is extracted from the Wikipedia page, Nordic Countries, where it argues that "Scandinavia" is just Denmark, Norway, and Sweden. 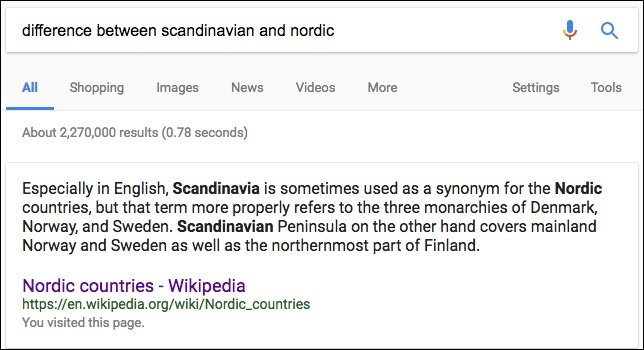 This answer doesn't give a great definition for Nordic, but we can go check the original Wikipedia article to see that the Nordic Countries "...consist of Denmark, Finland, Iceland, Norway, and Sweden, including their associated territories (Greenland, the Faroe Islands, and the Åland Islands). These are questions that are strongly related to the question you asked in the original query. These are questions that Google has determined are probably the next kind of question you'd want to ask. Notice that if you click on one of the questions, the panel opens up, and provides some answers at the bottom. 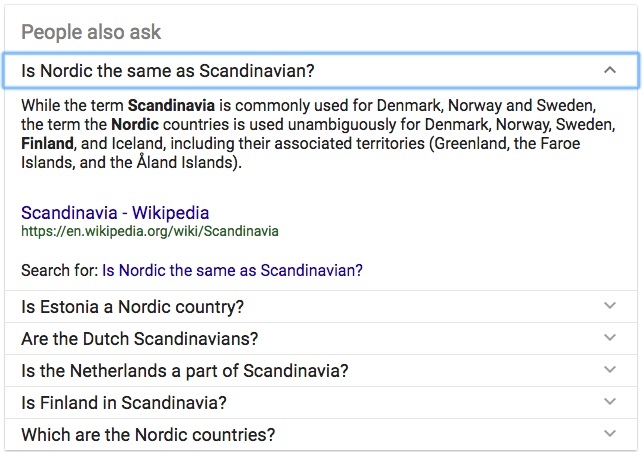 Here's what happens when you click on the first question "Is Nordic the same as Scandinavian?" 2. This is a real puzzle. I saw these wires coming out of the bottom of drain pipes all over Scandinavia, but I can't figure out why they're there. It's obviously not just a wiring mistake; basically EVERY drainpipe has this. They're usually in a loop (as shown), but sometimes it's just a thick wire. They're firmly attached (I pulled on one to see if it was loose--it wasn't). 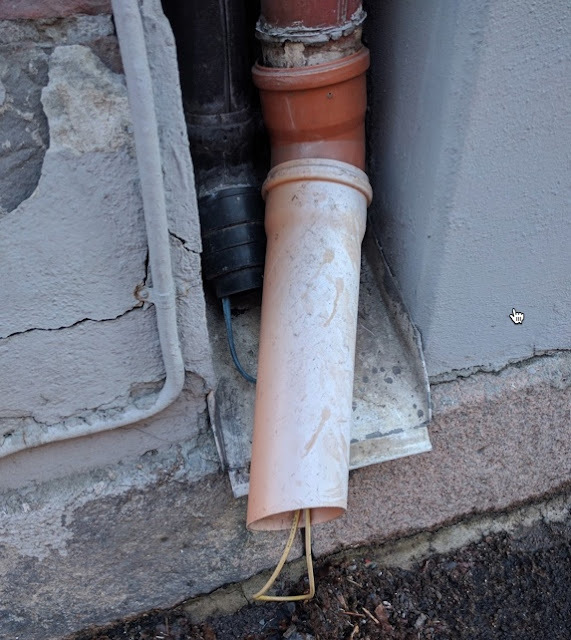 What are these drainpipe wires? This was a bit tricky, partly because it was a solution to a problem I'd never thought about before. 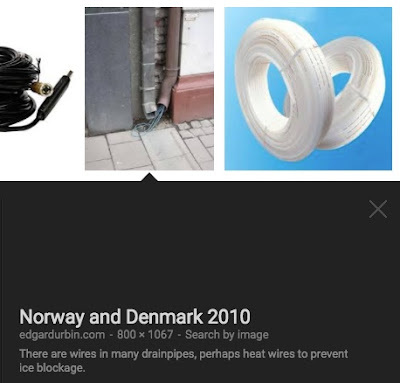 I tried a bunch of searches starting with [ drainpipe wires Scandinavia] and variations on that theme. Finally I remembered that sometimes it's useful to be more specific and use a specific term to stand in for the whole... (Remember this SRS post from 2012 about synecdoche? That's what I mean--using a specific term to stand for the whole). and when I switched to Images mode, I saw this in the upper right part of the window. If you click on the upper right image (the two rolls of white wire), you'll find that those are "300m Insulated Floor Heating Pipe Cable For Defrost Ice In Downspout PE And Drain Pipe." 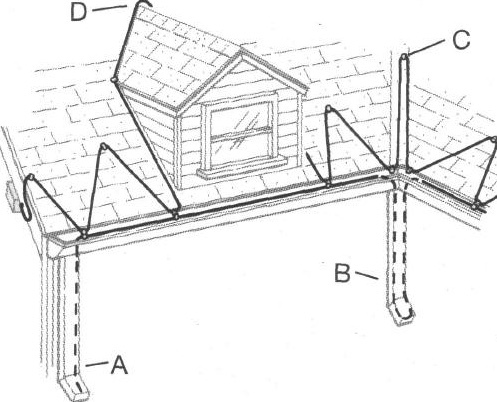 I start finding interesting and useful results, including this diagram that clearly shows the heating cable running along the eave of the roof, down into the downspout and back up again to the next gutter / eave / downspout. 3. 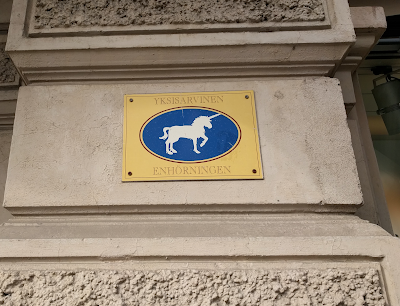 While wandering around the central streets in the capital of one unnamed country, I saw these odd little plaques with animals. Why are they there? What's going on here? Search for the most distinctive thing in this first image "yksisarvinen." 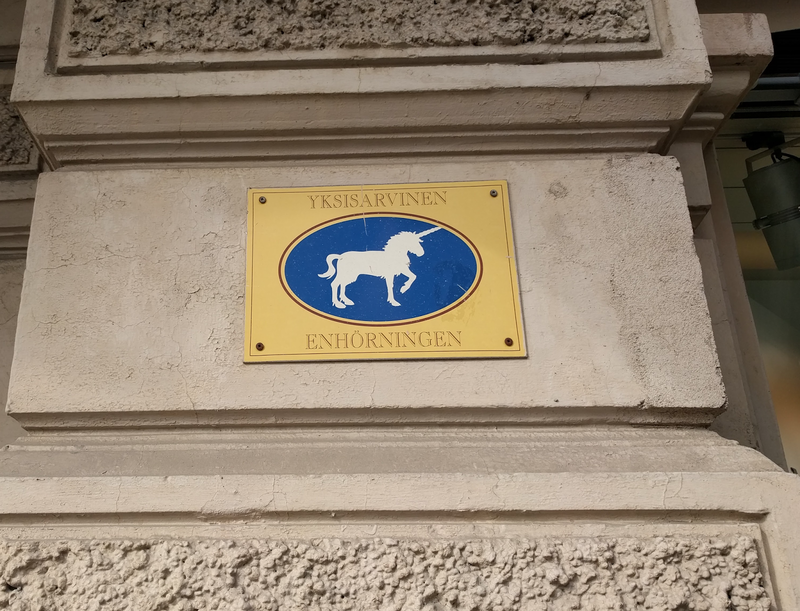 When I did that, I found that this is Finnish word for "unicorn." Makes sense--it looks like a Finnish word. 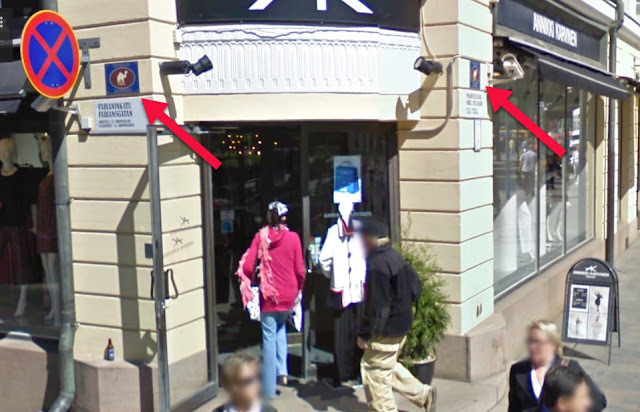 Looking at the other two photos (of the hamster and giraffe signs), it seems they're on street corners. I know enough Swedish to recognize the word "gatan" as the English word for "street." 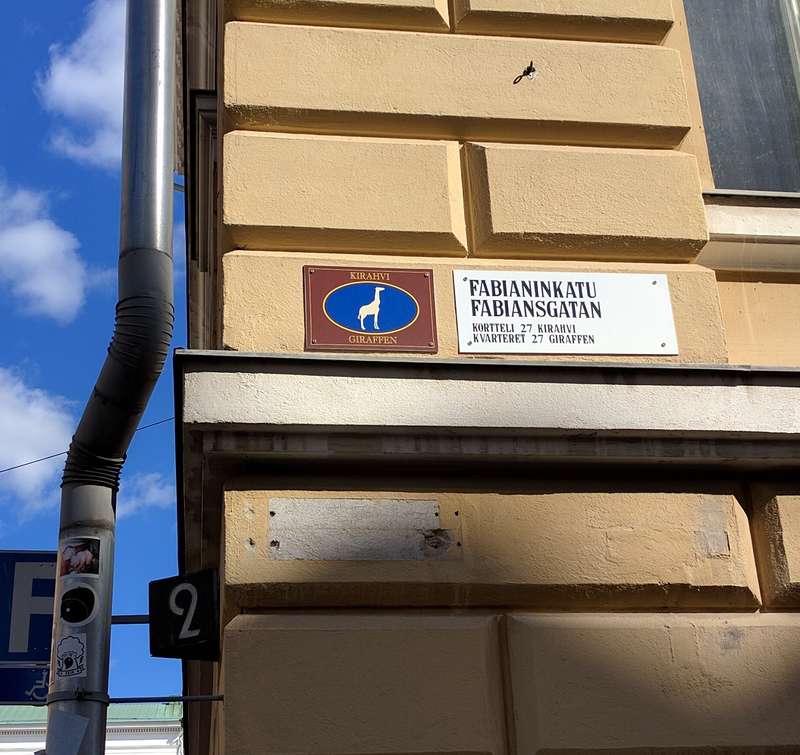 So "Fabiansgatan" is probably "Fabian's Street"--but why would this Swedish street be in Finland? That suggests to me that "Fabianinkatu" is probably also a "Fabian's Street" in Finnish. Let's check. 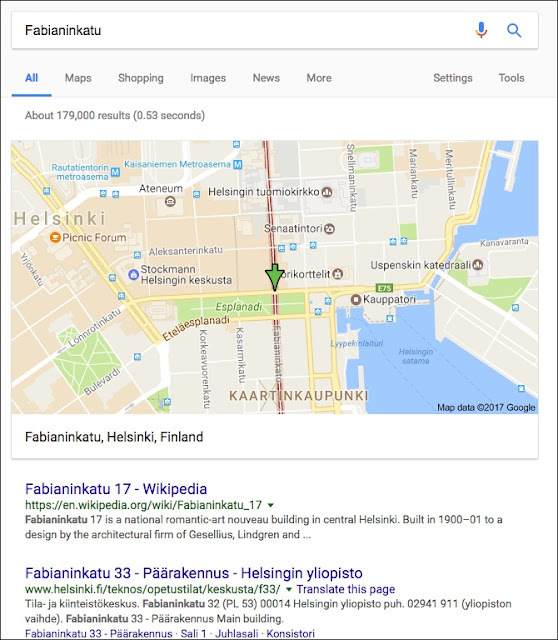 Clicking on the map transports me to downtown Helsinki, Finland. Then switching into Streetview, you see the giraffe sign on the street corner (next to the traffic light). Yup--that's it alright. While I was in Streetview mode, I turned around to look down the street to the east, and found THIS on the street corner across the way... Note the TWO camel signs, on each side of the intersection. It's pretty clear that this isn't a street sign (or it would be just on one of the buildings, probably the one facing the street). The street names are different, but the animal sign is the same on both sides of the corner. What's going on here? plots within each street-lined quarter were to be individually numbered. names are still well known. nomenclature in existing city districts remained thematically consistent. were named in this fashion. marketing and the fostering of neighbourhood identities. So now we have the answer directly from the Helsinki city council: These are blocks--not streets--in the Finnish capital that have been given names, a practice that dates back to the mid-1800's. 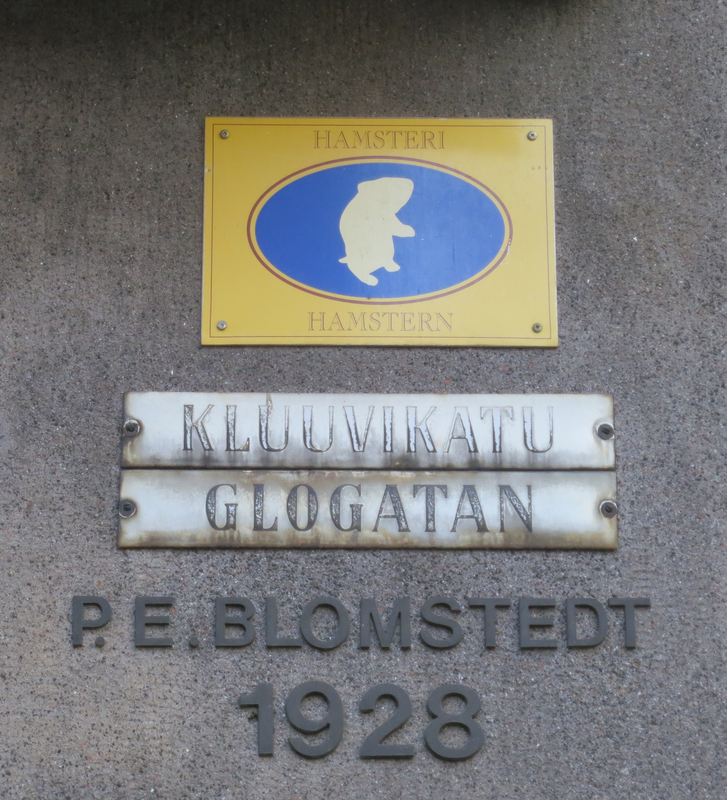 If you lived in Helsinki, you might live on the Unicorn (Yksisarvinen) block or the Hamster (Hamsteri) block. 1. Doing a query as a simple question often works well. As in the Scandinavian vs. Nordic distinction, your question can be pretty simple. That often just works. 2. Be sure to check out the "People also ask" questions. They often will have a refinement of your query that's even better than the one you started with. Take note that the questions will often change once you click on one of the options. 3. Remember synecdoche! Sometimes, adding in a specific term (that will stand in for the whole) can get you to better results. 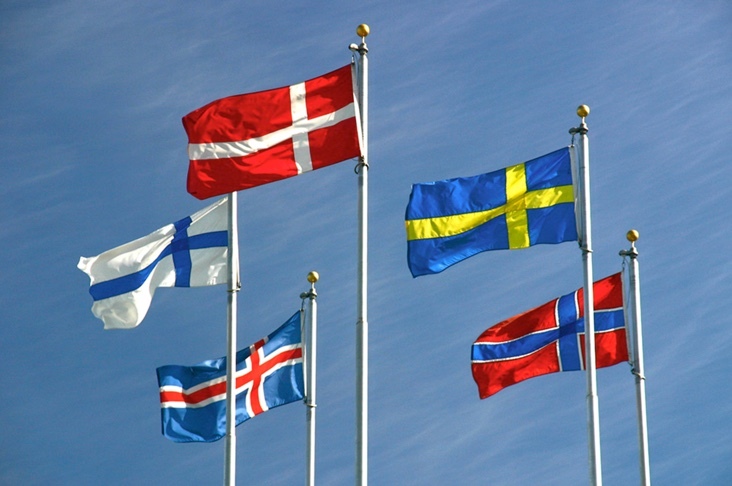 In our case today, we used "Norway" as a stand-in for "all Scandinavian countries." It works because people often prefer to use a specific, rather than general term. 4. Learn from your near-misses. 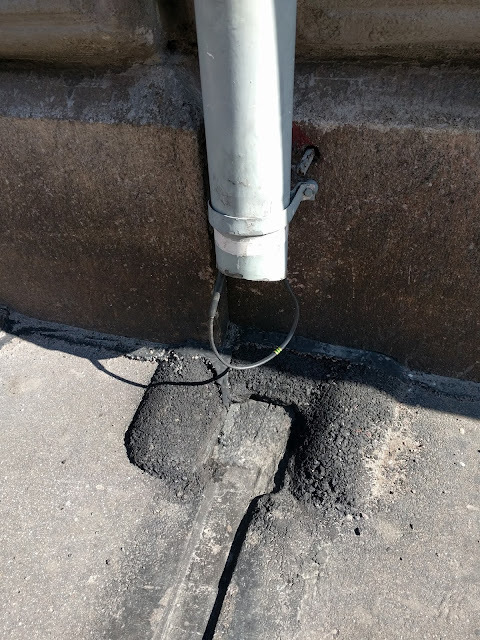 As you see in the change of my queries above, often a near-miss query (like [ wires in drainpipe Norway ]) can lead to a useful reformulation by picking up nearby clues (as I did when I spotted the "heating cable," which changed my query. 5. Using intext: is a great way to make sure the term you want is actually on the page. In this case, we used it to find an image! Incredibly handy. I'll be back tomorrow with a fun Challenge for this coming week. Until then... keep your drainspouts ice-free. Travel is a great source of puzzlements. Everytime I travel somewhere (and I get to travel fairly often for my job), I come across things that surprise and amaze me. 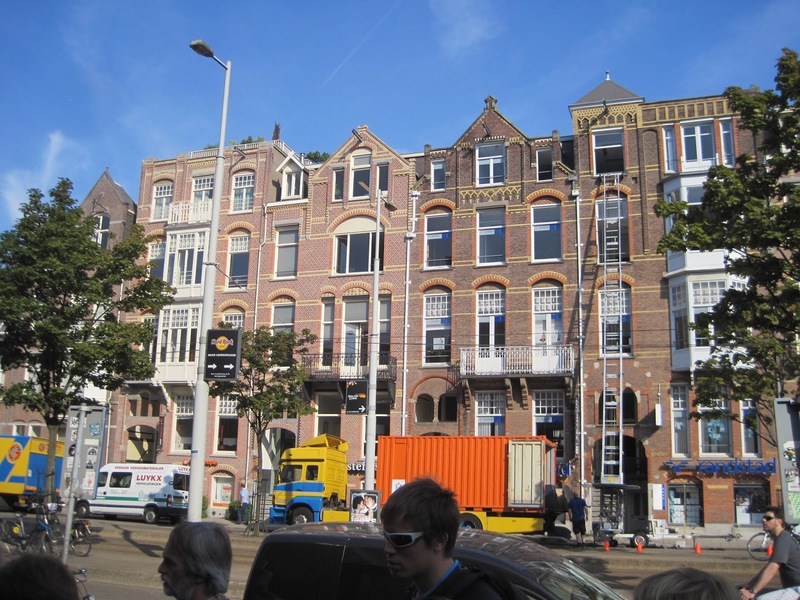 Recently I had the chance to travel to northwestern Europe on business, but I was confused about where I was geographically. Yes, I visited Sweden, Norway, and Finland... but is that Scandinavia or the Nordic countries? I would see both terms used apparently interchangably, and just from everyday usage, I couldn't quite figure out the difference. But as I walked along the streets I also saw a few things that I cannot (and have not yet!) figured out. This gives us our SearchResearch Challenges for this week. Can you help me figure out what's going on here? Can you figure these northern mysteries? If you can, please leave a comment in the discussion below. And tell us HOW you found the answer. We all want to learn from your research and be able to do it ourselves next time! As I said last week, it used to be that when you heard a quote you liked, you looked for it in one of those big books of quotations (such as Bartlett's Familiar Quotations or the Yale Book of Quotations). But, if it wasn't in there, then most people just up because the searching got to be a LOT harder. In the days B.G. (that is, "Before Google") finding the correct attribution for quotations required lots of contacts, a lot of reading, and dedicated time. Searching is very different now. But still tricky, especially when you find things like this in the search results (try searching for ["quotes on the internet"] and you'll see what I mean). So... what DO we do now to track down quotes? Let's look at the quotes for this week. 1. Did Tom Peters, the guru of excellence, really say "The best search one can do today is the search for excellence"? The problem with long phrase searches like this is that you often there will be a typo or variation on the quote that wormed its way in over time. This will mean you'll NOT find the quote because the search is too precise. Naturally, if you click on the second link ("search instead for.."), you'll get zero results. Not a surprise. Generally speaking, the best approach is to NOT trying to do a quote search of a long phrase. A much better approach is to search for a nugget--that is, some small fragment of the text that is memorable, and unlikely to be be changed over the different variations. Why did I choose this funny sub-quote? Because the other options, "the search for excellence" has too many off-topic hits, and the other option, "the best search one can do today," has the same problem. In this case, I choose the phrase from the words "today" through "excellence" to capture the central searchable nugget. When you do this search, the first hit is to the Quote Investigator, a well-known website that's well known for its high quality and accurate research into the origins of quotations. In the Quote Investigator's page about "today is the search for excellence," we find the attribution to Lyndon Johnson, and his article in a Sunday newspaper insert (specifically, The Des Moines Sunday Register, 1964 April 26, Sunday supplement). The noblest search of today is the search for excellence. The best search one can do today is the search for excellence. But since we didn't get ANY hits for the exact version ("noblest search"), I suspect that somehow something got changed along the way. This kind of thing happens all the time to quotations (they get slightly altered over time to be slimmer or punchier). This, and many other observations about how quotations transform over time, are beautifully written up in The Quote Investigator's forthcoming book, Hemingway Didn't Say That: The truth behind familiar quotations, Garson O'Toole. Page 2 of the supplement. Des Moines, Iowa. 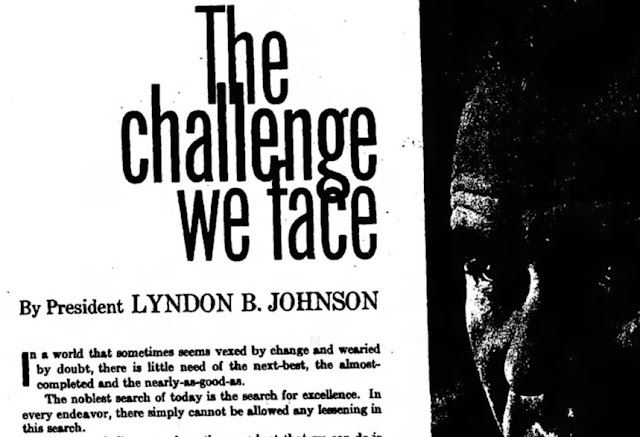 Although LBJ was a controversial president, his hope for "the noblest search of today is the search for excellence..." is something deeply to be desired in our current political climate. So no, it wasn't Tom Peters, but President Lyndon Baines Johnson, writing in 1964. 2. Did Mark Twain say that one should "Put All Your Eggs in One Basket, and then watch that basket"? So what's the "nugget" of this quote? You have to be careful with the results here. There are a LOT of pages that attribute it to Mark Twain, and just about as many attribute it to Andrew Carnegie. But very, very few of them actually give the source. The concerns which fail are those which have scattered their capital, which means that they have scattered their brains also. They have investments in this, or that, or the other, here, there and everywhere. “Don’t put all your eggs in one basket” is all wrong. I tell you “put all your eggs in one basket, and then watch that basket.” Look round you and take notice; men who do that do not often fail. It is easy to watch and carry the one basket. It is trying to carry too many baskets that breaks most eggs in this country. He who carries three baskets must put one on his head, which is apt to tumble and trip him up. One fault of the American business man is lack of concentration. "In my first public address made to our young men, in Pittsburgh—how many years ago I need not mention—I told them to put all their eggs in one basket and then watch that basket. I have been a concentrator all my life." It's pretty clear he, or a clever speechwriter, came up with this quotation. Notice that he simplified and shortened the key phrase. It's now just 12 words long, while the original was 26 words long. This happens to many quotations--they become slimmer and punchier over time. 3. Who said that "College contains daily exercises in delayed gratification. 'Discuss early modern European print culture”'will never beat 'Sing karaoke with friends' in a straight fight, but in the long run, having a passable Rhianna impression will be less useful than understanding how media revolutions unfold"? This is another really long quote. So for the nugget, I'd pick "having a passable Rhianna impression" (which seems like a pretty unlikely sequence of words). quickly gets you to Clay Shirky's post on Medium.com where he writes about being distractable, what it takes to get focus, and why delayed-gratification is an important personality trait to develop in yourself. His essay is a brilliant comment on why staying-focused is a key skill... and why he asks that his students put away their laptops during his class. As he writes: "I’ve decided it’s time to admit that I’ve brought whiteboard markers to a gun fight, and act accordingly." Note the missing final "e" on that tagline. Shirky is too careful a writer for this to be a typo. I think he's signalling the effects of being distracted. Someone else might have pointed to the animated movie "Up" and said "Squirrel!" But the author is clearly Clay Shirky. 4. (Extra credit) Who said or wrote that "It is better than 1000 guilty persons should escape than one innocent suffer"? 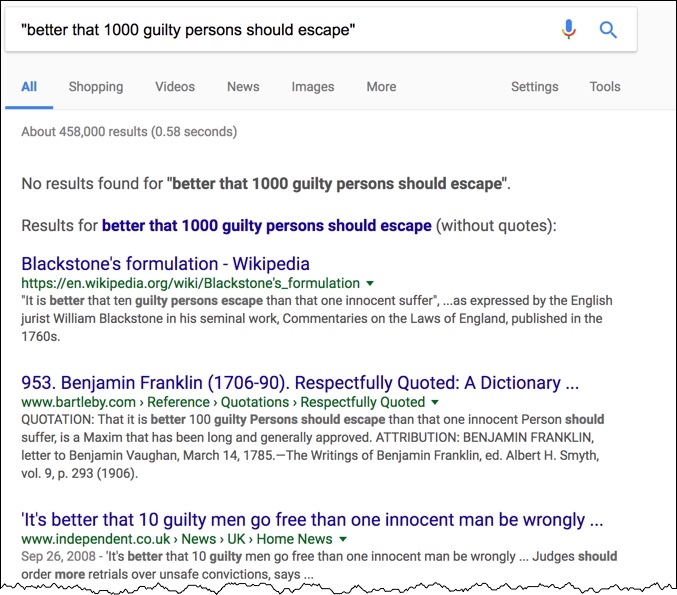 Here, I used the nugget "better than 1000 guilty persons should escape" -- but just as I was about to enter the quote into the search box, I noticed that the word "than" probably should be "that"--it would make more sense. Still, quotes are sometimes not obvious, so I did that phrase search as is... and got nothing. We see that both William Blackstone AND Benjamin Franklin are given credit for this... although with different numbers that what our quote says. 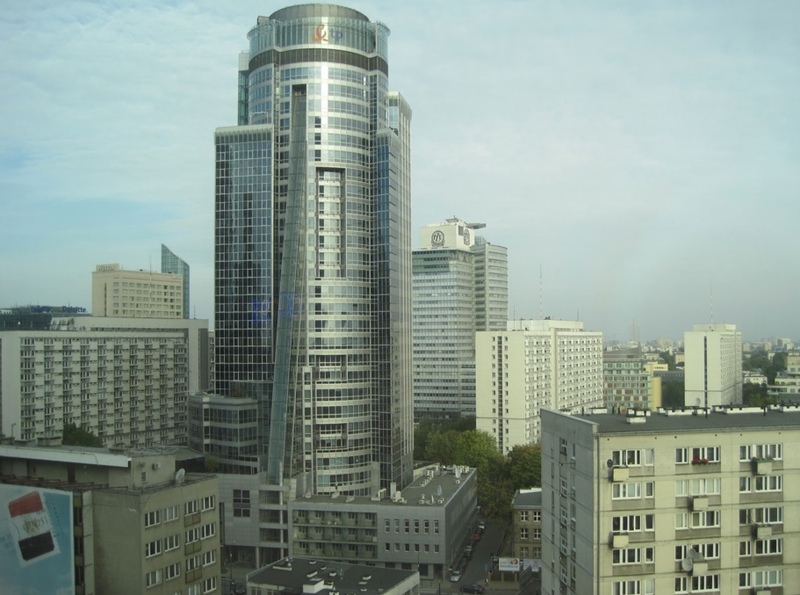 Blackstone: 10. Franklin: 100. And the last quote says "men" rather than "persons." I suspect some quote evolution here. As several Regular Readers pointed out, this 10:1 ratio is known in legal circles as Blackstone's Formulation. As the Wikipedia article points out, "Other commentators have echoed the principle; Benjamin Franklin stated it as, "it is better 100 guilty Persons should escape than that one innocent Person should suffer." " He made the number a bit larger than Blackstone, the better to make his case. But in this case, Blackstone published first. He put forth the idea in Volume 4 (the publication date is a little uncertain--but certainly between 1765 and 1969), while Franklin could not have written his "Remarks" until after 1785, around twenty years after we know Blackstone already wrote about this. 1. When searching for a long quote, search for the shortest "nugget" that contains the essence of a quotation. Picking this nugget out of a long quote is often a matter of looking for the "least like part to have been changed" (you know, the pithy, interesting part of the quote), and then keeping that searchable phrase as short as possible. 2. 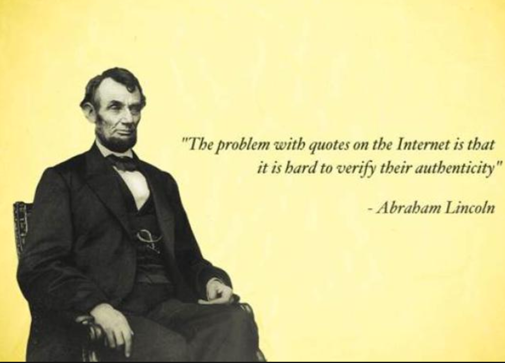 When looking for a quote, don't accept someone's attribution (unless they're really well-known for getting it right). Generally speaking, you want to see the original text (or a clearly correct transcription of the spoken word). There are relatively few places that I'll believe got the author attribution correct (the Quote Investigator, Snopes, FactCheck... places that have a strong reputation in getting the facts right). 3. Bear in mind that quotes often shift in length, spelling, and details. In many cases, the quotation tends to get shorter, pithier, and ascribed to even more famous people. We saw all of this happening in this week's searchable quotations.